Flattery will get you everywhere. Who doesn’t love to be flattered? “The corn chowder was amazing. Can I have the recipe?” Or, “I especially appreciated hearing the story of how you got into the business.” It just might get you invited back. No emails or texting allowed. Writing a thank you card is a time-honored tradition that shows respect and gratitude for the recipient in a way that an email just can’t express. Yes, it takes time. That’s the point. 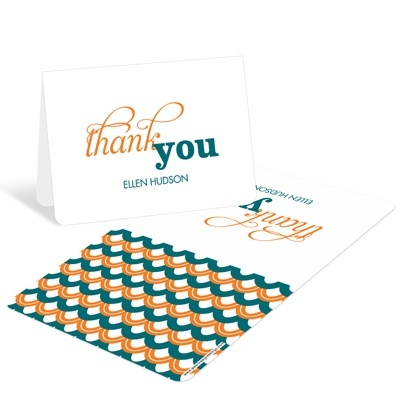 And whether you order your own personalized thank you cards or purchase them off the shelf, make sure the design is appropriate for both you and the recipient. Keep it brief. Now is not the time to cover all your job skills or recount all the gossip you heard at the party. 3-5 sentences is plenty, just enough to let them know that you appreciate their time and effort, and that you were paying attention. And really, isn’t that what everybody wants to hear? 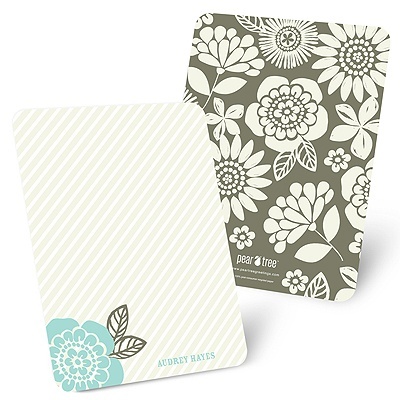 If you don’t already have your own thank you cards, check out the new selection at Pear Tree. We’ve added to our collection recently! ← PreviousWhat’s a Sip & See? The latest in baby shower ideas! Showing appreciation for someone’s gift and thought is a important part. A simple thank you word inside a beautiful card is appreciated by everybody. Thanks for sharing these useful tips.